MAX Series diamond chain. Segments designed for general use. Laser welded to patented chain chassis. Contains patented SealPRO® O-ring technology for longer life. Available for all ICS GC gas powered saws. Segment types for general and specialty applications. ProFORCE™ Series Diamond Chain. 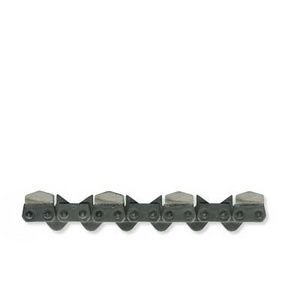 Strongest, most durable, patented chain design | Laser welded diamond segments. Contains SealPRO O-ring technology for longer life. Designed for heavy, professional use. Available for hydraulic and select gas powered saws. Call Miles Supply for the diamond chain that’s right for you.